All photographs taken by, and copyright of, the Author. 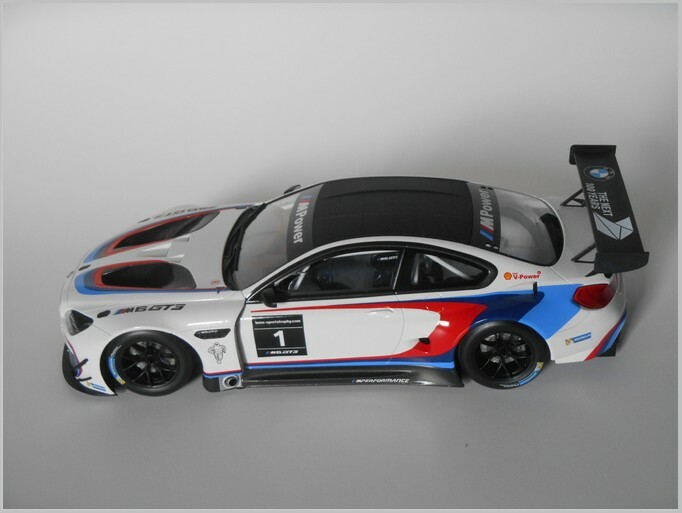 The models shown below were announced a long time ago but are only now widely available. 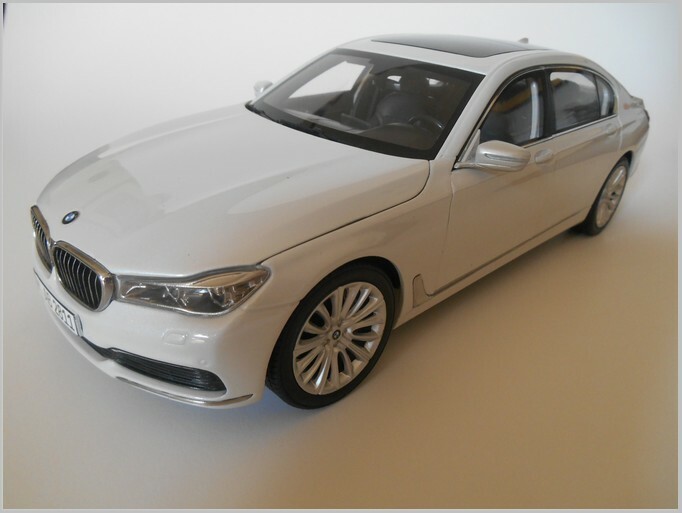 These are the latest iScale models made for BMW and Mercedes Benz. The Mercedes-Benz E-Class series represents the fifth-generation of this famous range of executive cars. 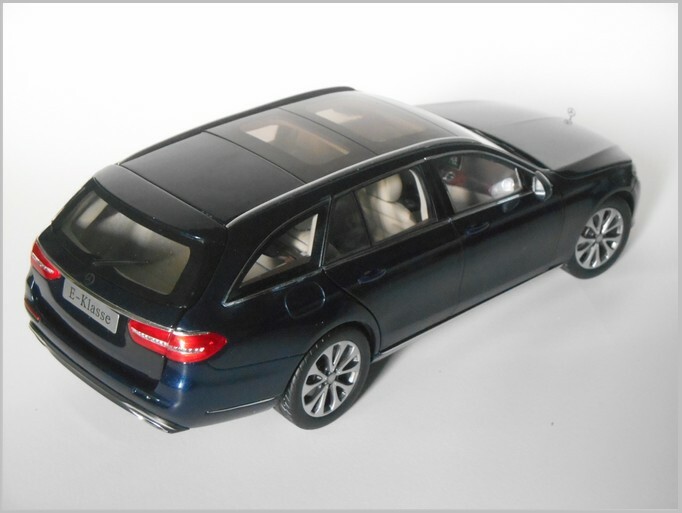 The range includes the saloon (W213) and station wagon (S213). A high-performance E63 AMG version has also been available, while later there will be the coupé and the cabriolet. Sold from 2016 as a 2017 model, it replaces the successful W212/S212 E-Class models and according to Mercedes it is the most technologically advanced car Mercedes has ever produced. They claim to have produced more than 1,200 prototypes. The 2017 E-Class has a design similar to that of the larger W222 S-Class and the smaller W205 C-Class, called the “Sensual Purity” design philosophy. 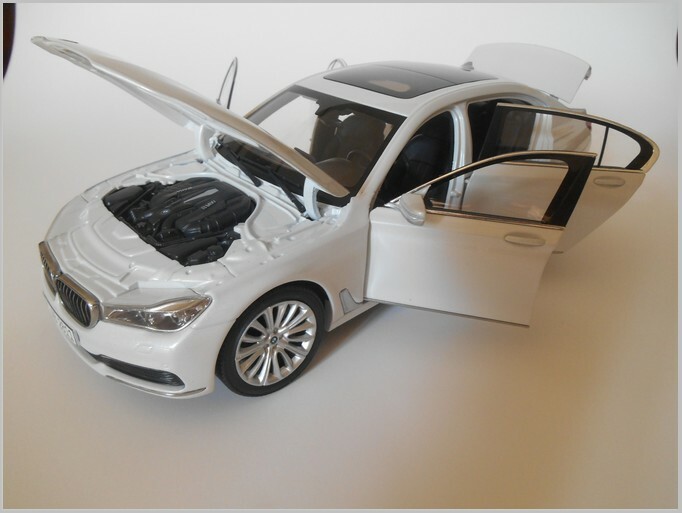 While the W212 E-Class had a tighter surface and harder edges, the new model is curvier and more flowing. As on other recent models, the 2017 E-Class features two distinct front-end treatments : a traditional chrome grille and a more sporting blade grille. The launch of the 2017 E-Class saw Mercedes-Benz move a step closer to autonomous driving, using many of the features already seen in the latest S-Class and taking them on to a new level. 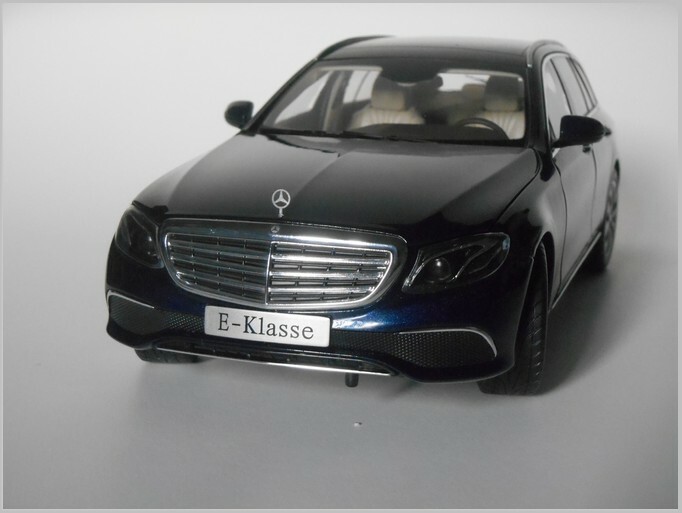 The iScale model of the S213 was announced in August 2016 on the web site of the German MBMC (Mercedes-Benz Modellauto Club), but I was able to get it only last month. 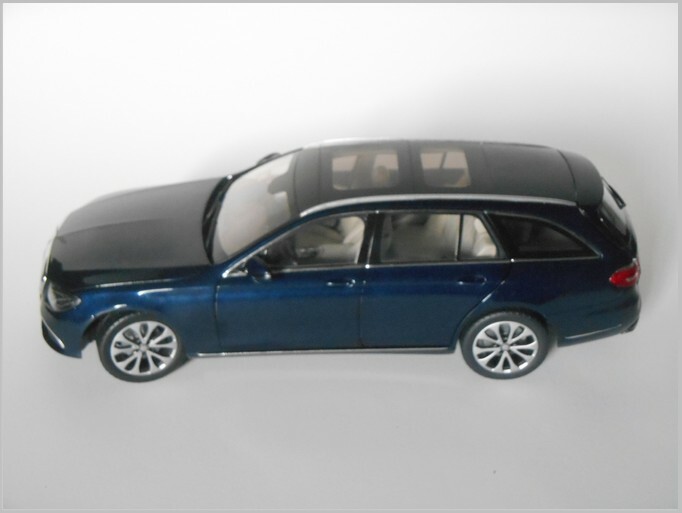 The S213 model, available from Mercedes-Benz in cavansite metallic blue as # B6 696 0383, and in iridium metallic silver as # B6 696 0384, is indeed a very nice model. 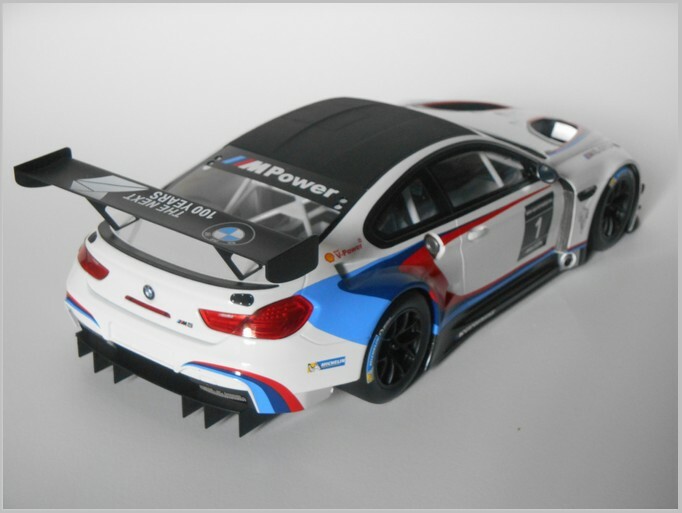 It is beautifully detailed right up to the microscopic “star” on the engine lid. 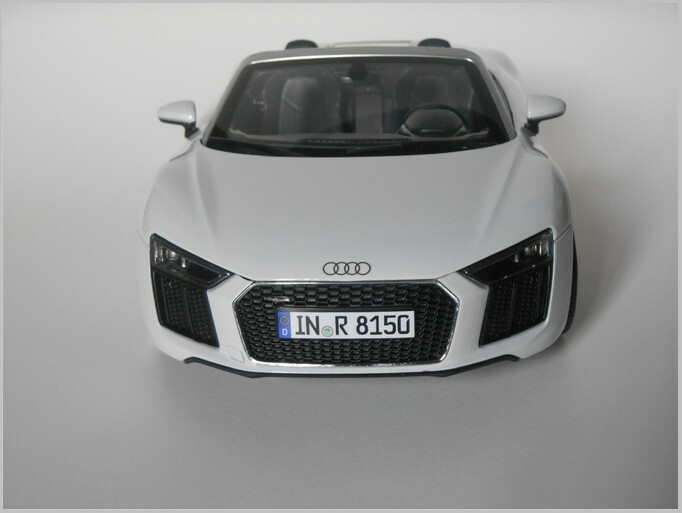 The model’s body is diecast metal with the usual plastic components, all hand assembled. 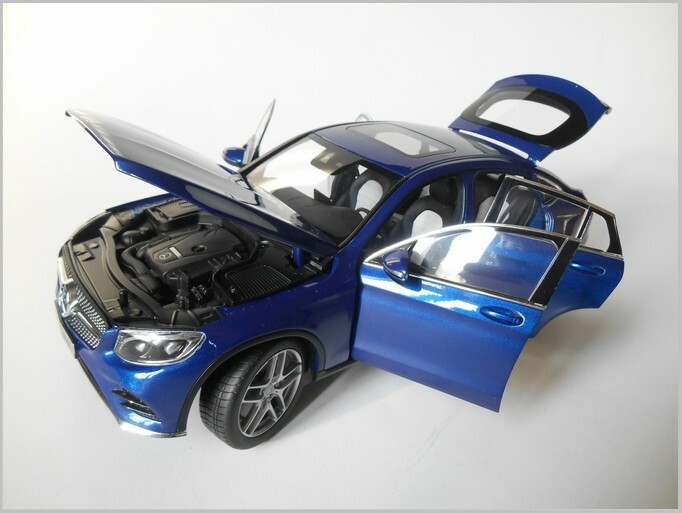 Quality is very high, as usual, engine and chassis are faithfully reproduced. 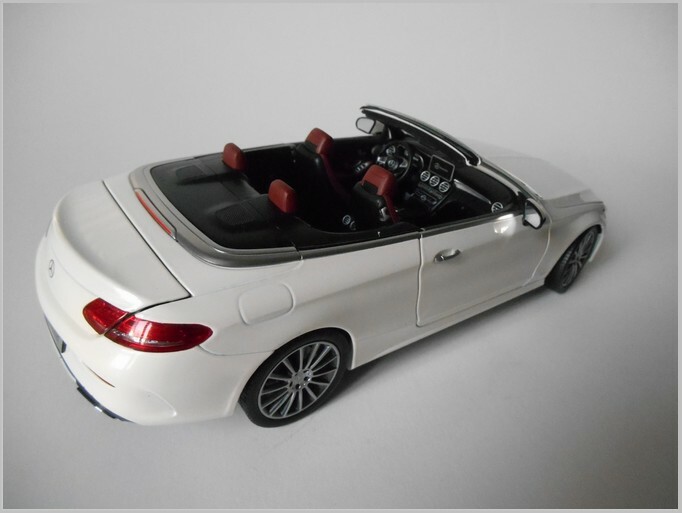 The interiors are similarly excellently modelled and the paint is beyond reproach. All four doors can be opened, like the hood and the tailgate. It is interesting to note that to open the hood iScale choose to use a button on the chassis underneath. It reminded me of one of the first models I met with such a device: it was very likely in 1963 and it was an English Dinky Toys, the Ford Corsair (no. 130). 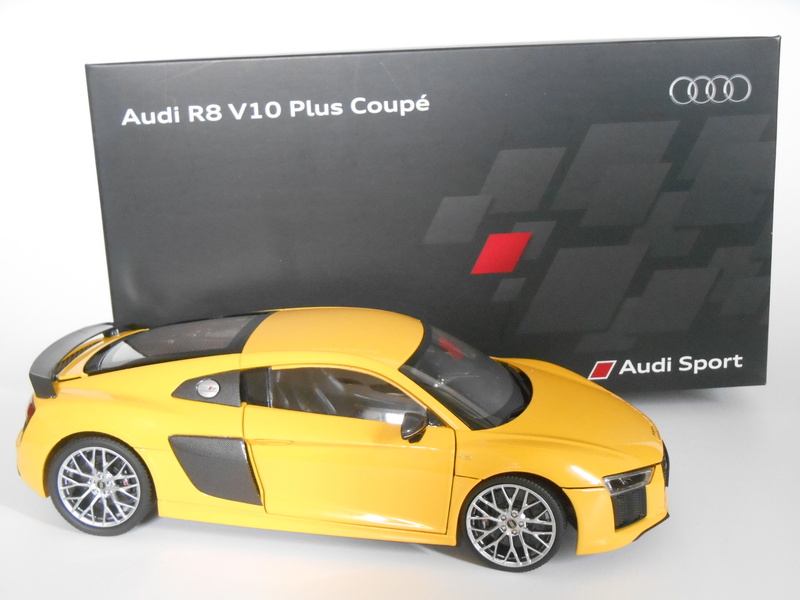 Inside the box there was a paper slip saying “to open bonnet! press button between front wheels on underside of the car”. They say that the sands of time run like quicksilver, but somethings never change. 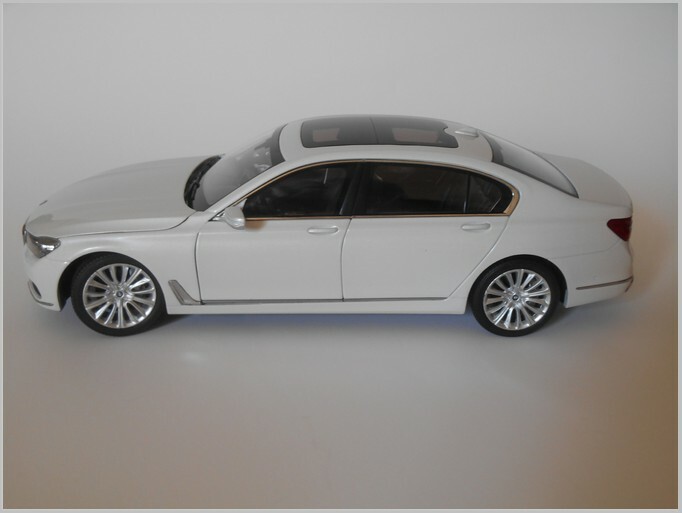 The new BMW 7 series (G11) was launched in 2015 as a 2016 model to replace the previous 2008 sedan (F01). 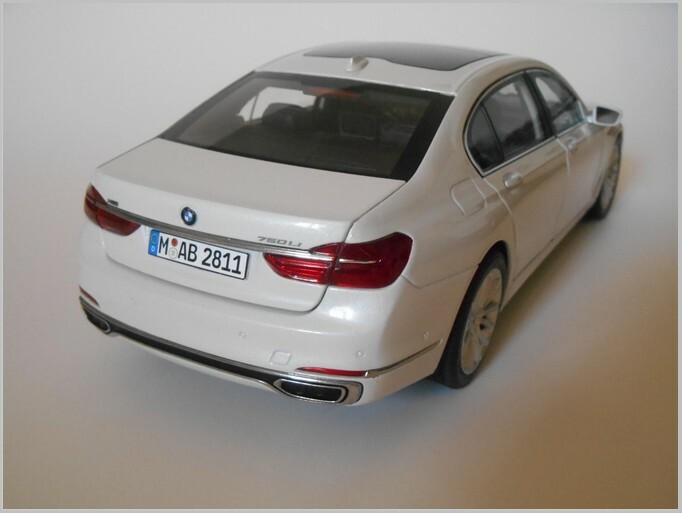 As usual the extended wheelbase versions carry their own series designation, G12 in this case, and are identified by an “L” for “lang” (long) in the model name, not to be confounded with the “L” of “leicht” (light) as used in the sports models. 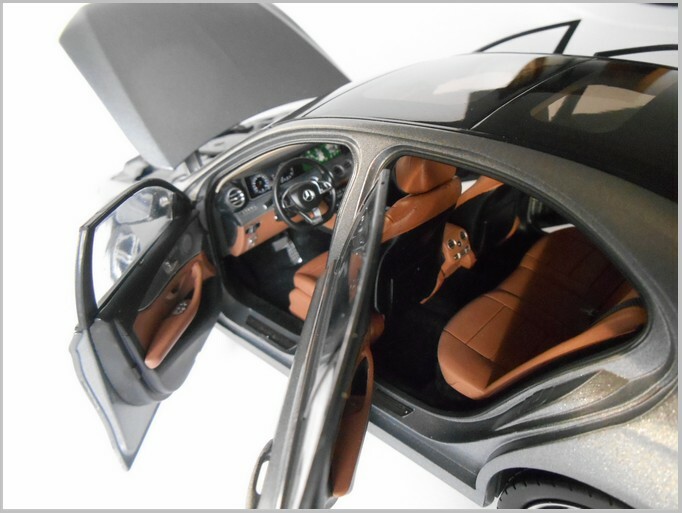 The car looks slimmer than its predecessor, and it is also lighter thanks to the widespread use of CRFP (carbon fibre reinforced polymer), tensile steel and aluminium, the latter applied to doors, boot lid, brake system, wheel hubs and rear suspension arms. Aerodynamics have been improved, for example the front grille has shutters that will only open when an increase of air flow to the engine bay is required, while self-levelling air suspensions are now completed by electronically-controlled shock absorbers. Active anti-roll system and four-wheel steering are optional. Advanced driver assistance systems are more “autonomous driving” oriented and touchscreens, radar sensors, stereo cameras, 3D scanners and a lot of “electronics” are present, as expected from a luxury car of this kind. The powertrain line-up consists of a 4.4 litre V8, two 3.0 litre inline-sixes in petrol and diesel form, and a 2.0 litre inline-four, and includes also the hybrid model. Now a V12 is also available (760). 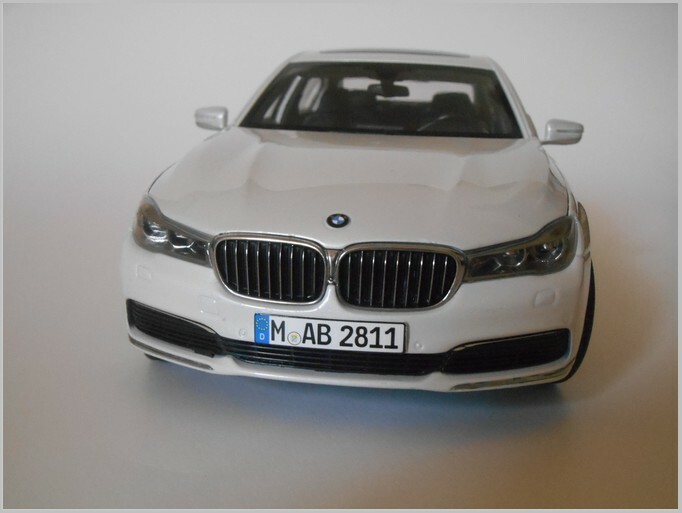 The 750 Li model from iScale is available from BMW in mineral white metallic as #80 43 2 405 587, in dark blue metallic as #80 43 2 405 586, and in dark grey metallic as #80 43 2 405 585. The model shows the high level of quality provided by iScale. 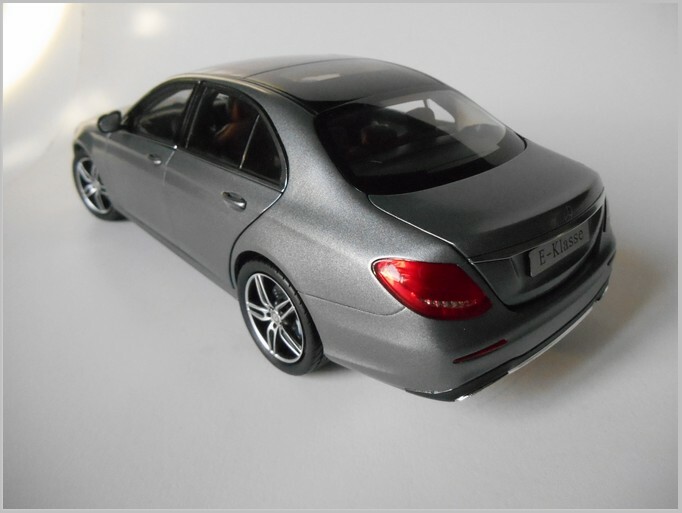 As usual the model’s body is diecast metal with the usual plastic components, all hand assembled in China. Engine and chassis are faithfully reproduced, with rich interiors, enhanced by the transparent roof, and a deep paint finish. All four doors can be opened, like the hood and the trunk. The wheels are very nice with the correct BMW insignia in their centre. 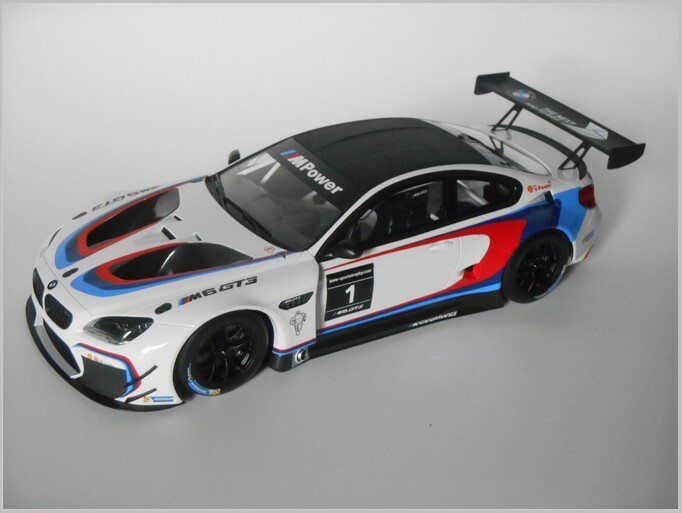 Another beautiful model to add to your collection. 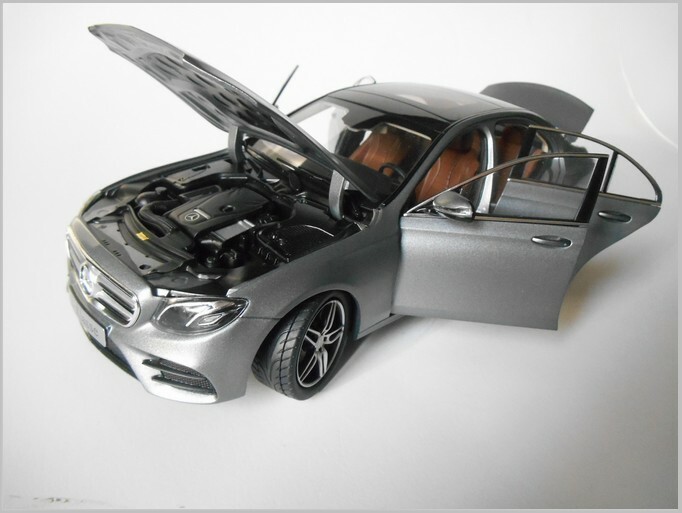 All the models shown here have been made by iScale for Mercedes-Benz to use as promotional items and to sell in their sales operations. 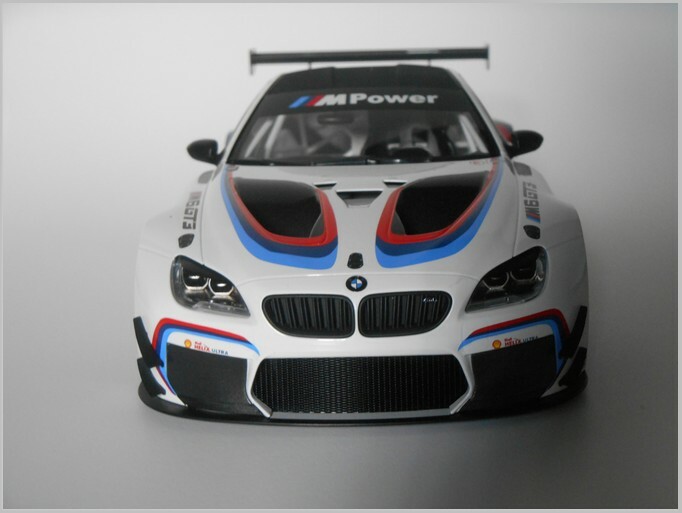 They are made to 1:18 scale and feature many opening components a great deal of detail. 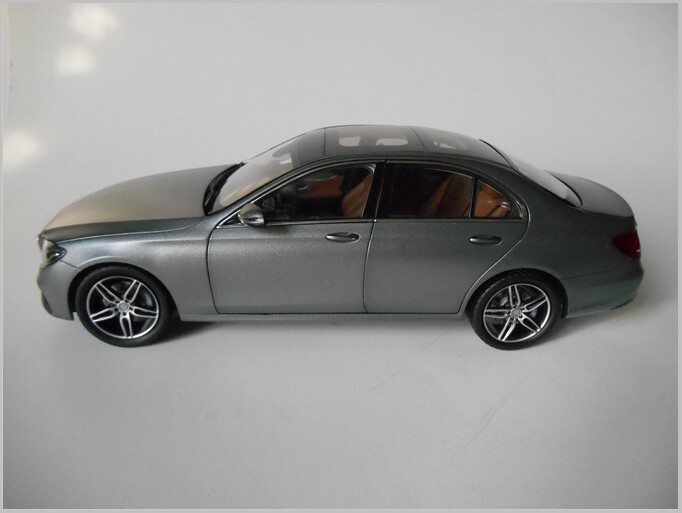 The first one is a 2016 E-Class (W213) saloon “AMG Line” in what Mercedes calls “designo selenite gray magno”, matt grey in simpler words (Mercedes Benz no. B6.696.0379). In reality the “AMG Line” is only a trim level of a comfort oriented luxury saloon, not one offering a sports experience and handling of a real AMG. A conservative exterior clothes a fabulous cabin, rich in technology and really comfortable for passengers, coupled to a powerful engine and an obedient gearbox. 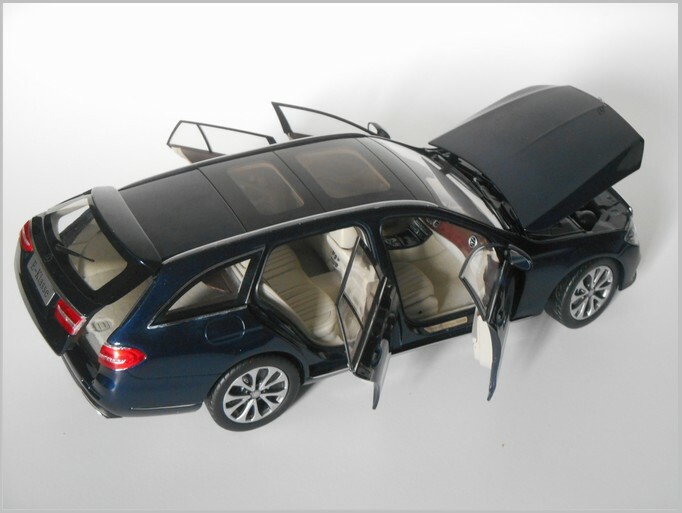 The model is very accurate, all four doors are opening, like the hood and the trunk. 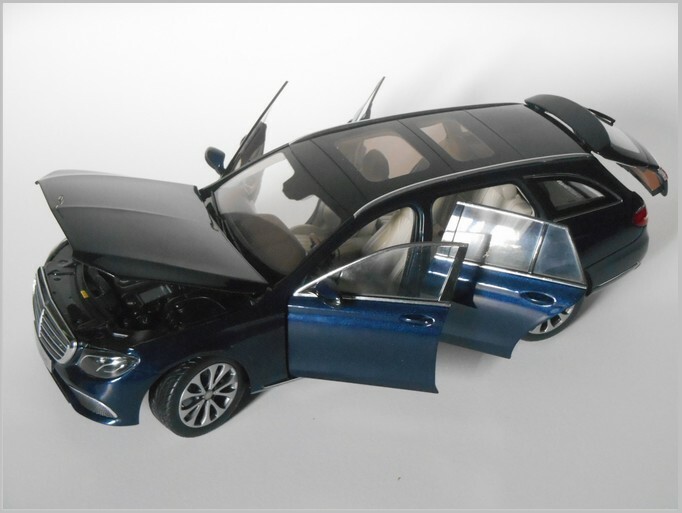 Dashboard and interiors are well reproduced, same for the transparent roof, engine and chassis. Metal die cast body and plastic components. 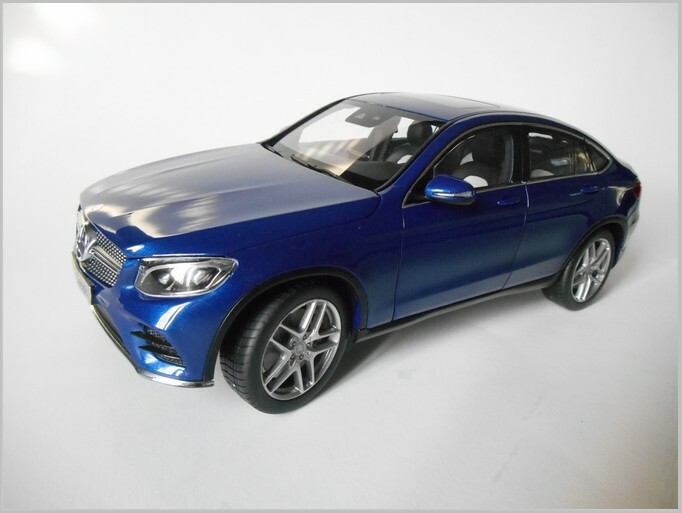 The second model is a 2016 GLC Coupé (C253) in “brilliant blue” (MB no. B6.696.0805). 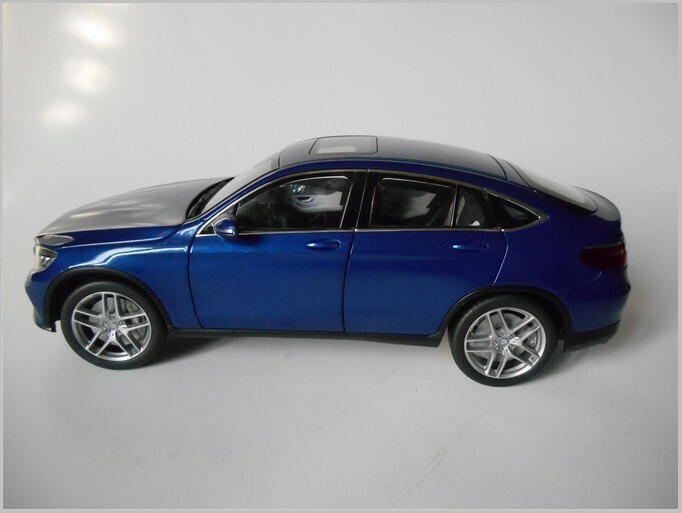 According to Mercedes it “combines the powerful figure of an SUV and dynamic shapes of a Coupé” : its exterior tries to be sleek, but the shape is a bit massive (like many SUVs). Perhaps not to everyone taste, but that seems to be the future philosophy. It is really a sporty coupé, with the ability to tackle a little bit of off roadaction. 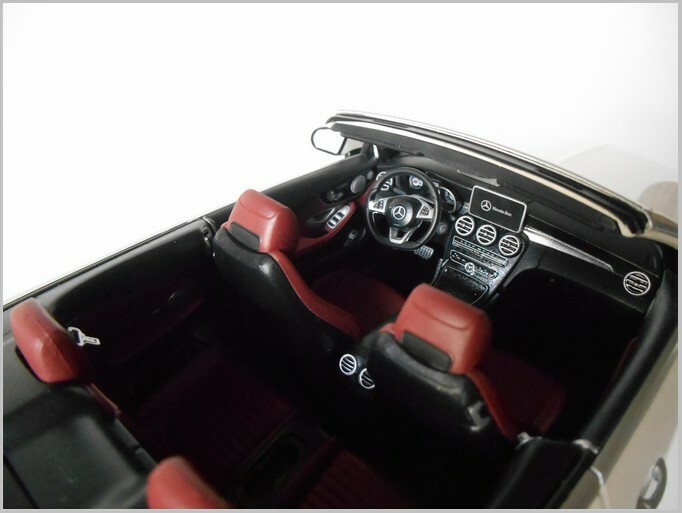 It is rich in comfort and technology like all recent Mercedes. 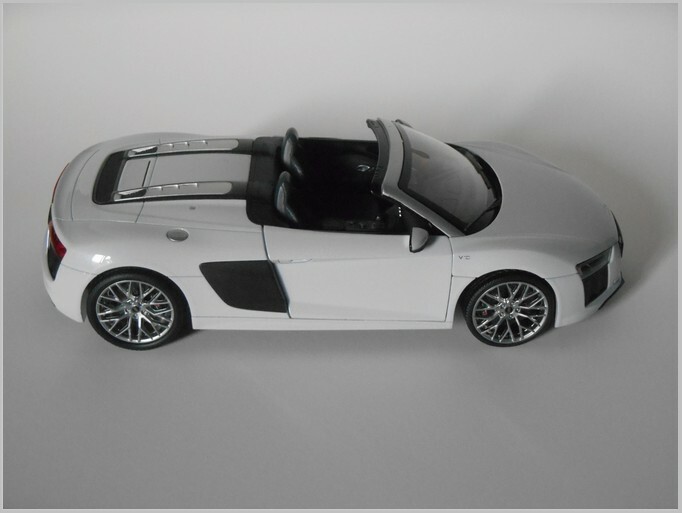 The model’s body is metal die cast with the usual plastic components. It is hand assembled from over 120 parts. All four doors can be opened, as well as the hood and the tailgate. 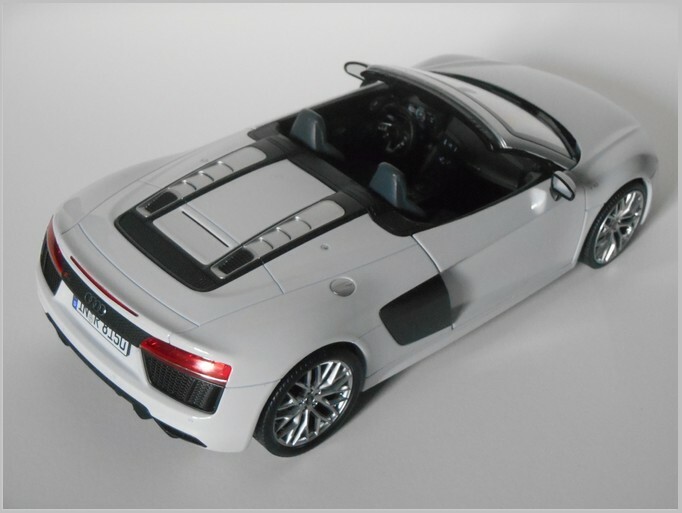 Quality is high, as usual, with engine and chassis faithfully reproduced. 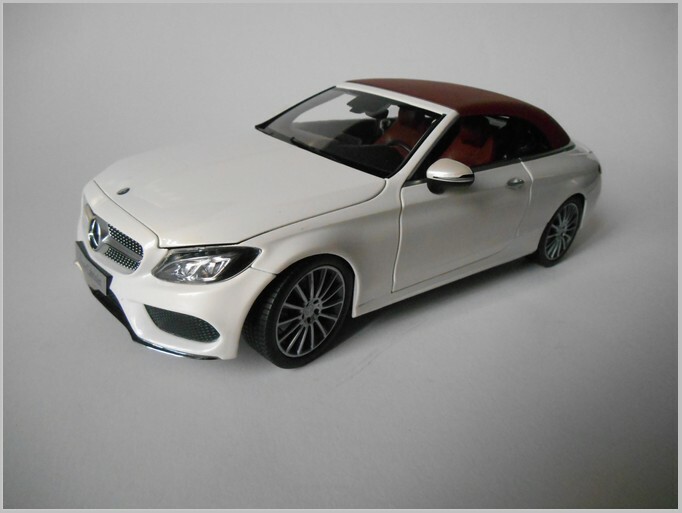 The third one is a 2016 C-Class cabriolet (A205) in “designo diamond white bright” (MB no. B6.696.0613). How to enjoy summer all year long. 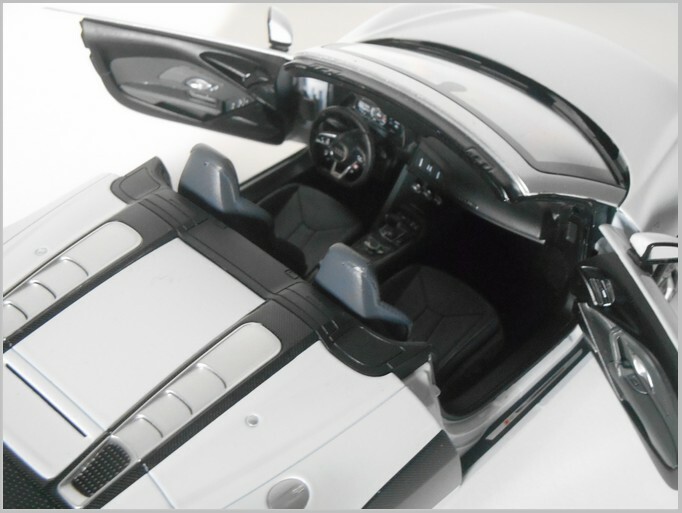 A car for every season of the year thanks to the optional equipment available, like the AIRCAP system (an automatic wind deflector, causing the airflow to describe an arc above the passenger compartment), the AIRSCARF (heating for the head area) already seen on previous cabriolets, and the fully automatic fabric top which can operate at up to 50 km/h. 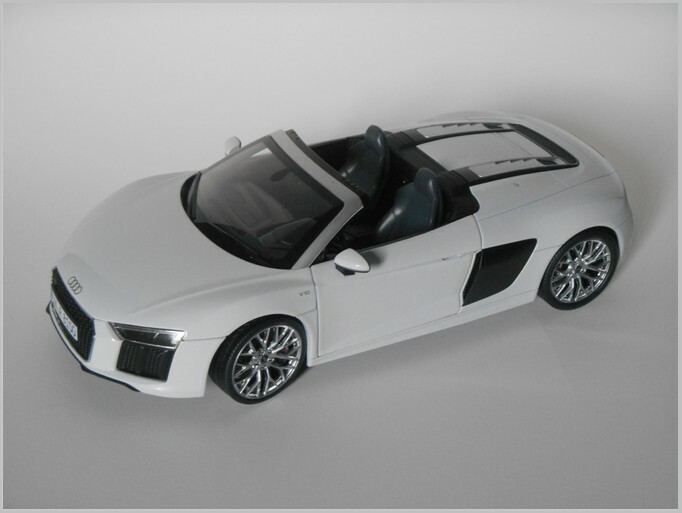 As usual the model’s body is metal die cast, with plastic components. 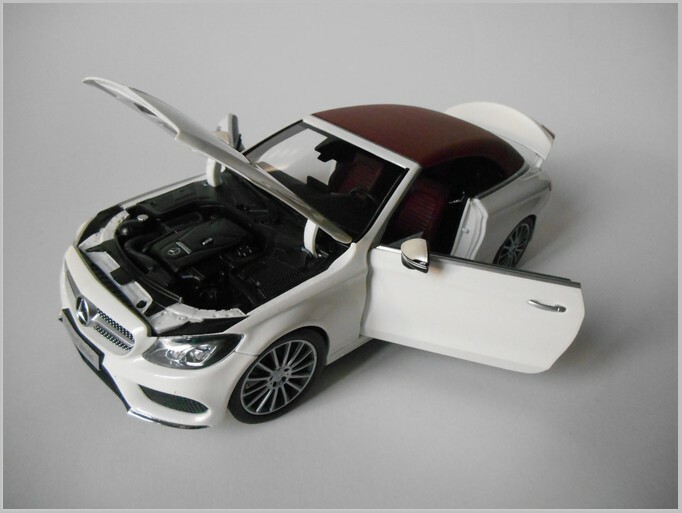 Doors, hood and trunk can be opened, engine and chassis are well reproduced. There is a nice plastic reproduction of the fabric top, in order to display the model in open or closed form. The cabin is fully detailed with even air vents picked out out.